MOA stands for Ministry of Agriculture. 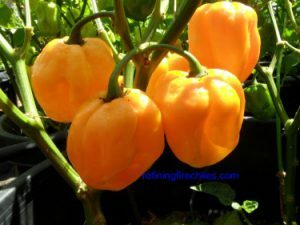 This Scotch Bonnet type is recognized by the government of Jamaica as being a true Scotch Bonnet type for commercial growing. 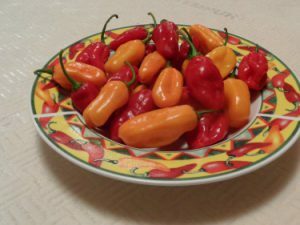 It is very prolific with a nice sweet flavor. 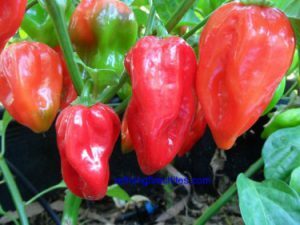 It may not be very hot but is a must grow for those that like Scotch Bonnets. 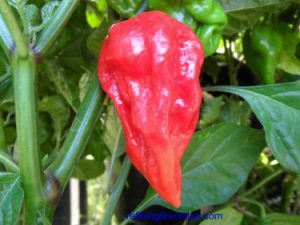 There is also a larger Red Variant of the MOA Scotch Bonnet. 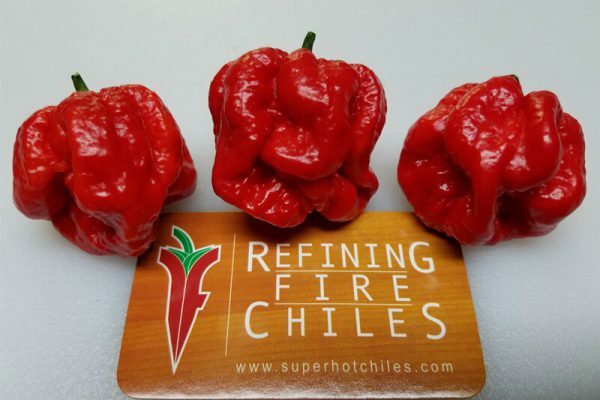 It is not know if this is a true natural variant or if something accidentally crossed into a pure MOA Scotch Bonnet at one time. It has a higher heat than the yellow but still has that fruity Scotch Bonnet flavor. It is very prolific. 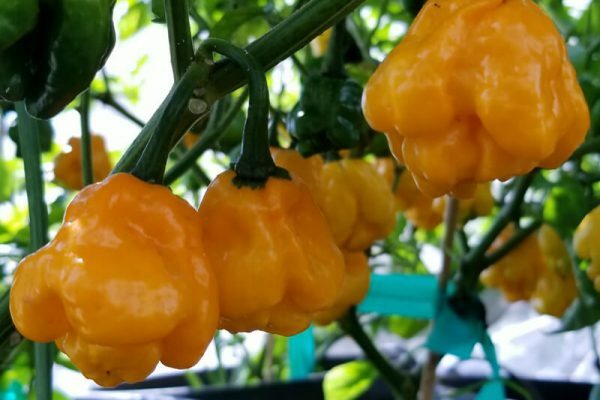 It ripens from green to Yellow orange. 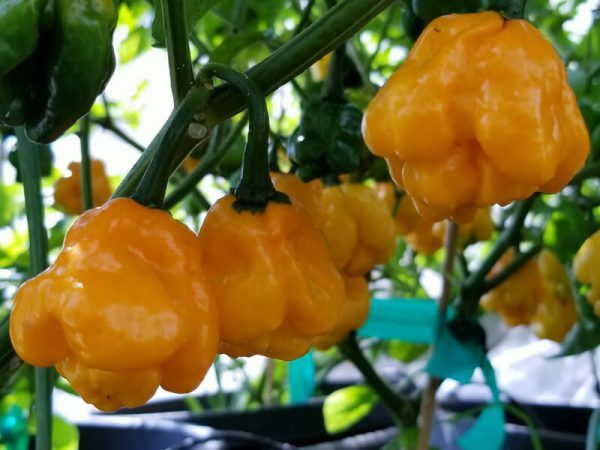 The MOA Scotch Bonnet chile plants grow over 4 feet tall.